This is a completely customized snowboarder cake topper ordered by one of our customers. 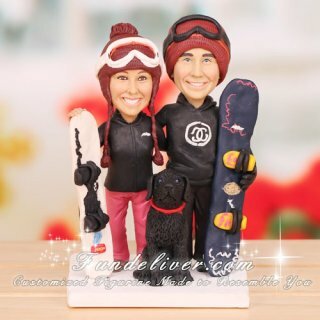 They would like the bride figurine to be in her black snow jacket, white snowboard goggles and bright pink pants, holding her white snowskate and the groom to be in his black snow jacket, black snowboard goggles, holding his black snowskate. Their dog, a black lab, is sitting in the front with a red collar. 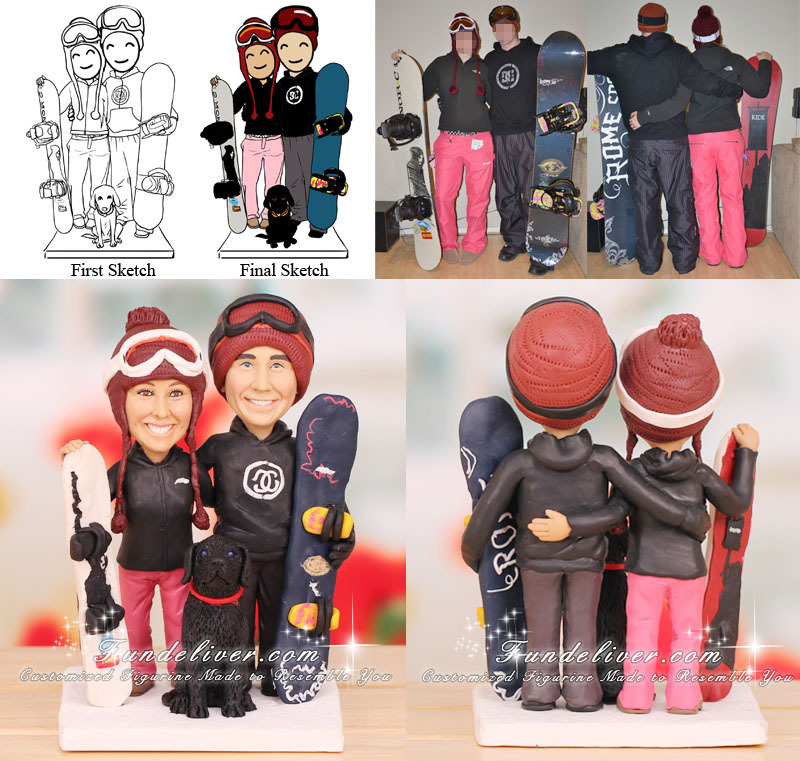 Getting married and looking for a snowboard cake topper for your wedding cake or groom cake? This snowboard theme cake toper will be a perfect choice. Starting from your ideas and reference images, we will first design some sketches to get your approval and then turn them into 3D figurines. No matter what you imagine, FunDeliver.com will sculpt your unique wedding cake toppers to complement your cake, match your wedding theme, delight your guests, and adorn your home for years to come.